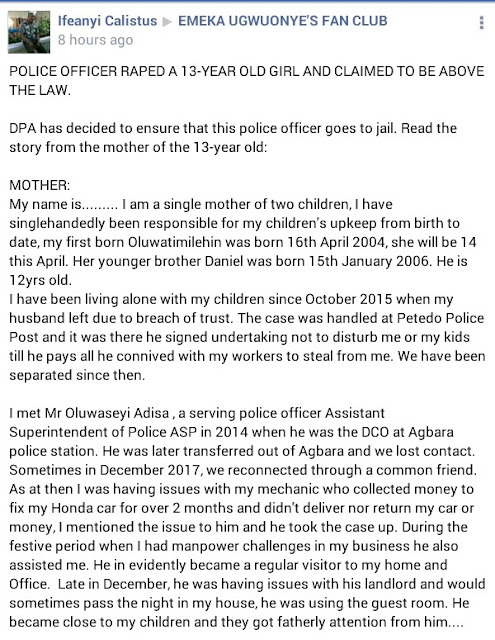 Below is the story of a 13-year-old girl who was raped by a serving police officer whose oath of allegiance requires that he protects lives and properties. 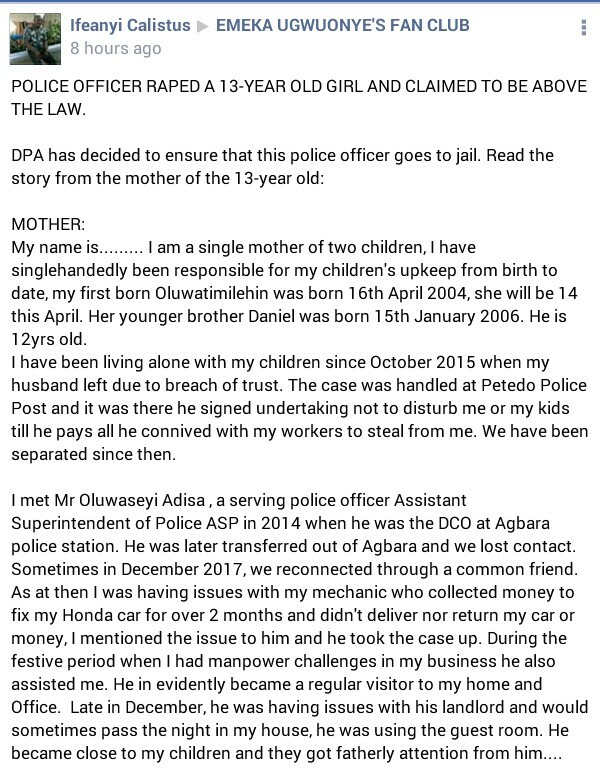 The mother of the 13-year-old victim has contacted Emeka Ugwuonye, a Human Right Activist on the matter and her plea is currently being looked into. 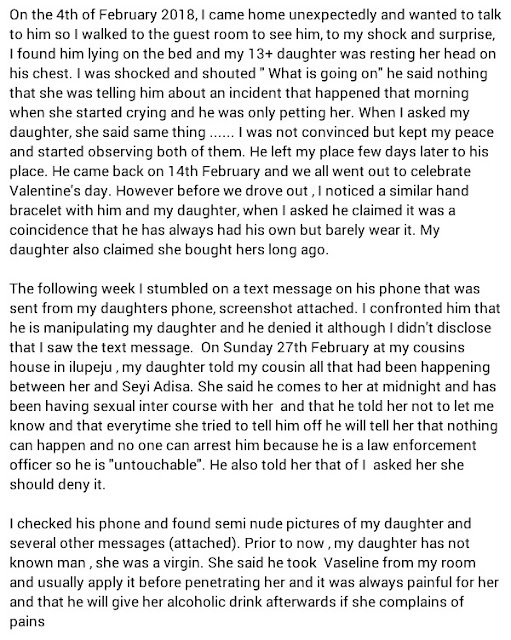 Read the story after the cut.